How Big Egg Tried To Bring Down Little 'Mayo' (And Failed) : The Salt Newly released emails from the American Egg Board reveal embarrassing details about its fight against the vegan product Just Mayo. Industry critics say the board's antics may have broken the law. Just Mayo looks like mayonnaise and tastes like mayonnaise but contains no eggs. That's ruffled the feathers of the egg industry. That kind of attitude apparently provoked agitation at the headquarters of the American Egg Board. Two years ago, the board's president, Joanne Ivy, sent an email to her organization's public relations consultants at Edelman. "It would be a good idea if Edelman looked at this product as a crisis and major threat to the future of the egg product business," she wrote. She wanted something done about it. In later emails, officials at the American Egg Board talked about how the name Just Mayo was misleading the public. They discussed alerting the Food and Drug Administration to this fact. They asked another consultant to call Whole Foods, to try to persuade the supermarket to drop Just Mayo. There was even a joke about putting a gangster-style hit on Hampton Creek's CEO, which was a bit of a shock for Tetrick when he eventually saw the emails. "I'm sure that was joking, but nonetheless, that was unexpected, to see this entity talking about putting a hit out on me," he says. 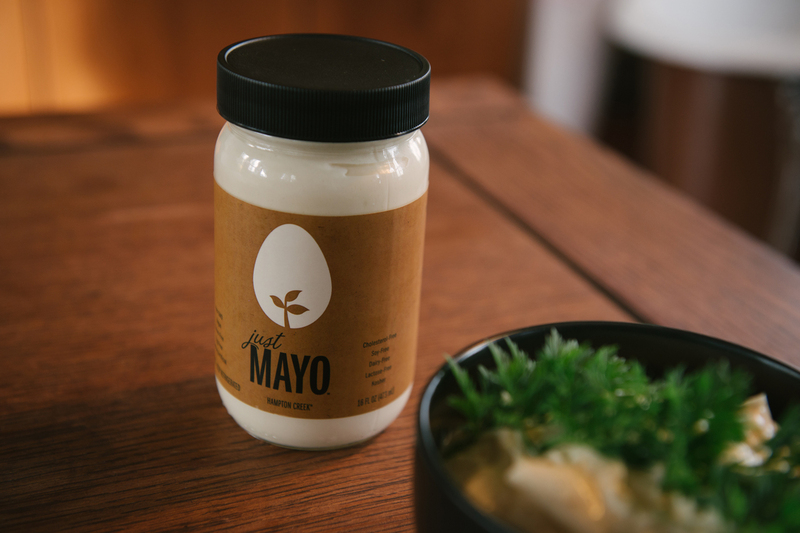 Officials at the American Egg Board have said that the name "Just Mayo" misleads the public. The emails all came to light because the American Egg Board is technically part of the government. It's funded by the egg industry, but it's run by the U.S. Department of Agriculture. This means that it is covered by the Freedom of Information Act, and Ryan Shapiro, a FOIA expert at the Massachusetts Institute of Technology, and Shapiro's Washington, D.C.-based FOIA-specialist attorney, Jeffrey Light, used the law to get all these documents. Shapiro sent them to Hampton Creek, which released them to journalists. The documents led to a wave of stories calling the campaign a government conspiracy to bring down Just Mayo. It's hard to imagine better publicity for the product that the egg board was trying to fight. "The egg board is supposed to promote eggs. It's not supposed to take down competitors," says Michele Simon, a frequent critic of the food industry who runs a consulting business called Eat, Drink, Politics. 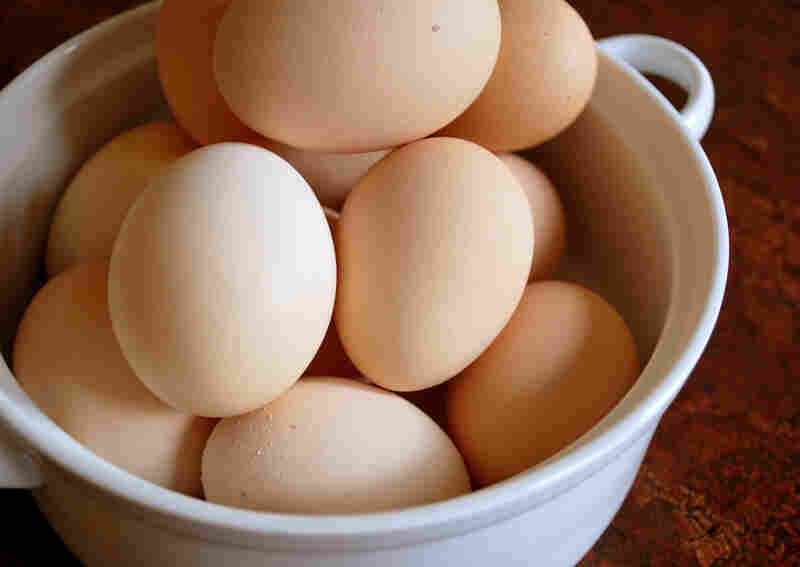 The egg board also is not supposed to try to influence government regulators like the FDA, she says, "and yet these emails reveal discussions around how to make a complaint to FDA and who should make a complaint." Ivy, the egg board's president, wrote in a statement that the board never did, in the end, contact the FDA, and that "we remain extremely confident that AEB has not broken any laws." Its efforts, she wrote, were simply intended to "educate consumers about the benefits of eggs, especially as they are faced with new egg replacement options." As it happens, the FDA did send Hampton Creek a warning letter a few weeks ago, informing the company that its products violate FDA rules. "The use of the term 'Just' together with 'Mayo' reinforces the impression that the products are real mayonnaise," the FDA wrote. According to the FDA, real mayonnaise legally has to contain eggs.